This gift break is ideal for a couple looking for special night away. Staying somewhere different can really add that element of fun which is bound to leave any guest with a new perspective. Each of the beautiful locations offers a relaxing environment with a personal touch, individuality and sumptuous surroundings. With many unforgettable locations to choose from there are plenty of opportunities to experience something unique. Whether you are looking for the perfect romantic escape or a luxury night away, we believe these distinctive locations will delight. This is a one night stay for two people, including breakfast. Restrictions may apply to certain properties, on specific days of the week and months of the year. This break is available Monday to Sunday throughout the year, subject to availability, restrictions may apply to certain properties, on specific days of the week and months of the year. Given this as a birthday present y my partner. Went to the Brooklands Hotel and Spa for an over night stay. All I can say is that it was amazing, the rooms the staff the food and the spa all exceeded expectations. Return visit from last year and hospitality first class; room larger than many hotels and spotless. Breakfast choice great and full English better than some 5 star hotels we have used. Had great night at Princess Theatre with Buddy Holly tribute - just a few minutes walk away. Definitely will be back again. We renewed our vows and got this for a gift off friends. Beautiful hotel. Staff gave great service. Spa was lovely and relaxing. Food very good. No complaints. Would definitely go again. What was the name of the venue where your experience took place? Appleby Manor. Got voucher for Christmas and added extra day. Very nice B n B with only 2 rooms so it was very select and peaceful. Close to Scottish Borders and towns like Melrose,Kelso and Coldstream. Also near to Tilllmouth Country Park Hotel if you want to treat yourself to a good meal out within walking distance. Stunning clean and comfy. Owner was great at contacting and recommending local places. The bull pub nearby had lovely big fires and good food!! Extra touches by host were spot on. Would love to return in the summer! This was a gift from my mum and it was such a lovely gift. Had the best time ever with my partner. Got the voucher from our children for wedding anniversary gift. Not many places to choose from in our local area. We went to Potting Shed near Kings Lynn. Secluded room in owners garden great breakfast brought to us and had it been warm we could have sat on the patio. Owner was very friendly and helpful. Bed was comfortable , room was clean. Possibly could have got the room cheaper by going by a website, but it was a gift. Would recommend the Potting Shed but not necessarily Unique Places to stay. Was a xmas present, lovely hotel and staff. Nice bar area and food from bar was good. Staff excellent. Made to feel very welcome. Room very cosy and comfortable. Evening meal (optional) amazing. Would definitely recommend. We will be back !! This was the second time my wife and I have taken up a unique places to stay break through Activity Superstore. Last year we stayed at a castle in the Lake District, and this year at another castle on the North Wales Coast. Both times we used the castle as a base to explore the local area, places that we had never visited before. All in all a very interesting and refreshing getaway. Could be a windmill in Yorkshire next year! 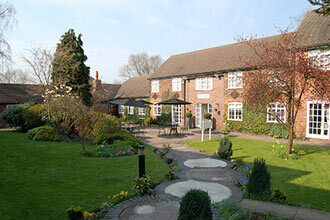 The Rose and Crown is a quaint Hotel situated in the centre of the market town of Wisbech. With lots of local amentities surrounding the hotel there is plenty to entertain all, including market days which are held on Sunday’s. The hotel has a secure car park on site which was detailed in our booking confirmation, along with full instructions on how to locate this. On arrival there was a friendly face to check us in and provide recommendations of where to eat and visit within the town. Directions were provided to the bedroom, along with the wifi password and a telephone number to call if we were planning on returning to the hotel after the car park closure times. However there was an on site restaurant and bar for those would prefer to have a quiet night in. The bedroom itself was spacious, comfortable and had a lot of character. We found our night extremely peacful and we woke feeling well rested. Check out was easy and stress free, we left the hotel feeling relaxed and pleased with our experience. Go for the full English breakfast - it was delicious!